Gregor Rosulnik is part of a young, dynamic generation of Slovenian entrepreneurs. With a background in economics, business management and international marketing, he founded the Translation Agency GORR in 2013. Today, GORR is on its way to becoming one of the key language services providers in the Western Balkan region, and it works with a number of important clients, both locally and internationally. Headquartered just outside Ljubljana, the capital of Slovenia, the agency covers all European language pairs, but it specializes in Slovenian and the Western Balkan languages, which include Bosnian, Croatian, Montenegrin, and Serbian. 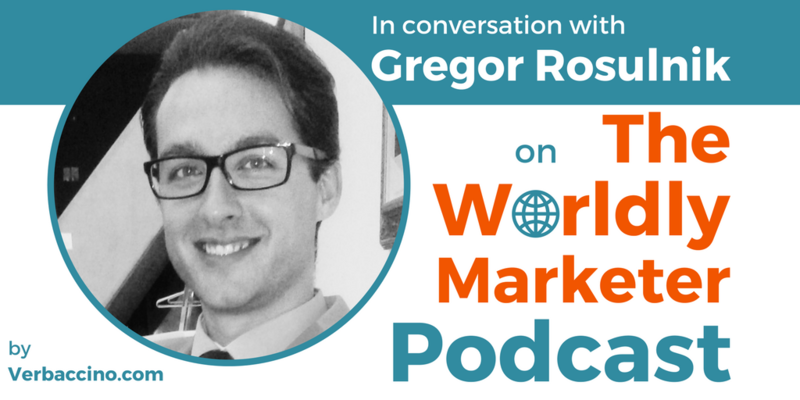 I first met Gregor at a Localization World conference (LocWorld34) in June 2017, and he impressed me with his positive energy, his outgoing personality and his entrepreneurial attitude. Catch his insights into the Slovenian and Western Balkan markets, which cover a relatively small geographic area, yet comprise a high diversity of languages and cultures.